Mohinish has been a consulting partner at Deloitte since 2016. 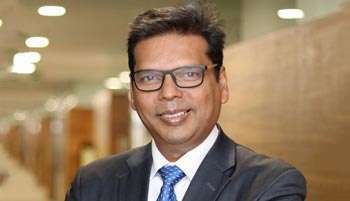 Overall, he brings with him a significant industry experience of around 25 years in organization transformation, cultural transformation, leadership development, preparing mindsets of leaders for adopting digital way of working, top team development, coaching, and setting up learning functions, including bringing in technologies like analytics, robotics and other learning technologies. He is also a leadership coach and has coached and facilitated hundreds of senior and top management executives within India and outside. He is trained in “Action Coaching” and experiential learning methodology of facilitation and curriculum design. He serves as an expert advisor for the global virtual workforce in the Human Capital Institute, USA. He is a part of SHRM India’s panel of subject matter experts on executive coaching and leadership. He has been invited to speak at various HR forums, such as the National HRD Network, and other academic institutions. He is a social media enthusiast, and has hosted webinars as well as web chats around employee engagement and leadership development. He has worked with a variety of clients across industries, in both public and private sector domains. He has a special interest in working with start-ups.